Most of us know that operating a thorough and sustainable supplier qualification program is critical to reducing risk. But how many can say they feel confident in their process? From the ongoing collection and verification of data, to the oft-required cooperation between departments; building and maintaining a great program can be challenging. Avetta suggests there are 11 requirements of a world-class supplier qualification program. 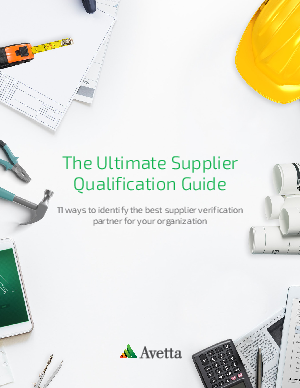 See how your organization measures up when you download the Ultimate Supplier Qualification Guide.